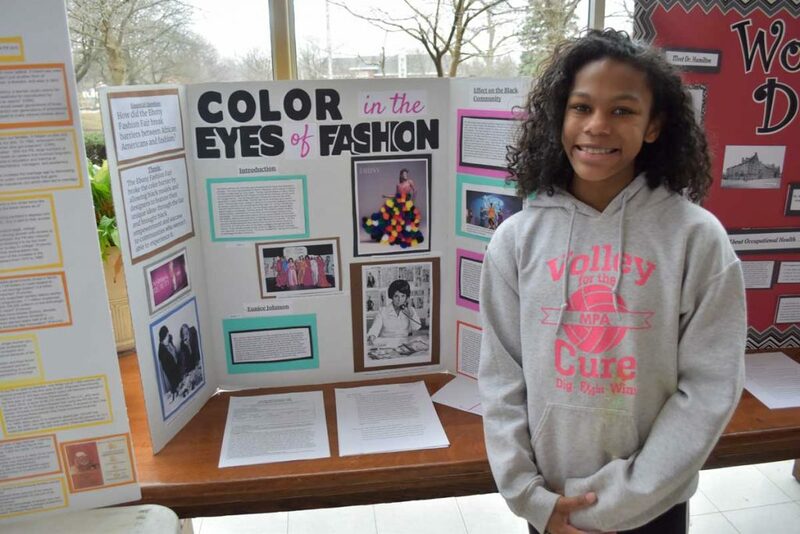 Morgan Park Academy’s annual eighth-grade history fair project produced not only a host of outstanding exhibits, but also a trio of qualifiers for the state finals in Springfield. 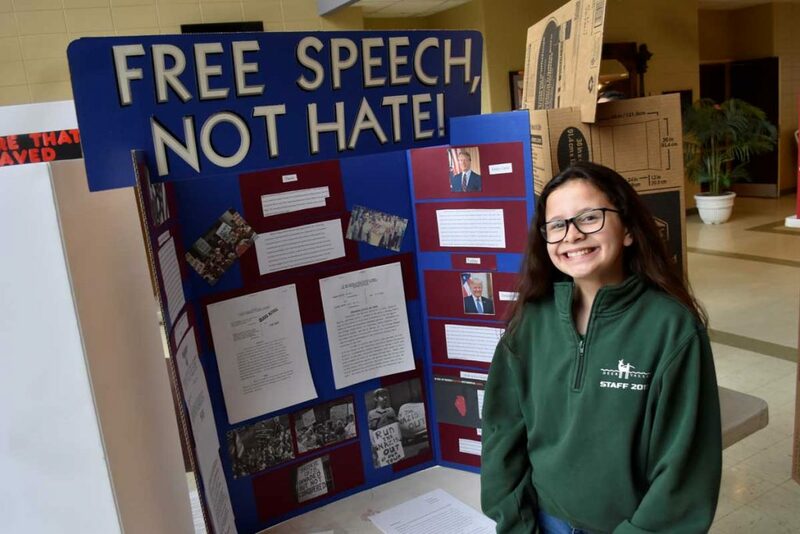 Olivia Fitch, Rianna Kingra, and Saanvi Malkani will represent MPA on Illinois History Day in May after being recognized by judges at the Chicago Metro History Fair regional competition. 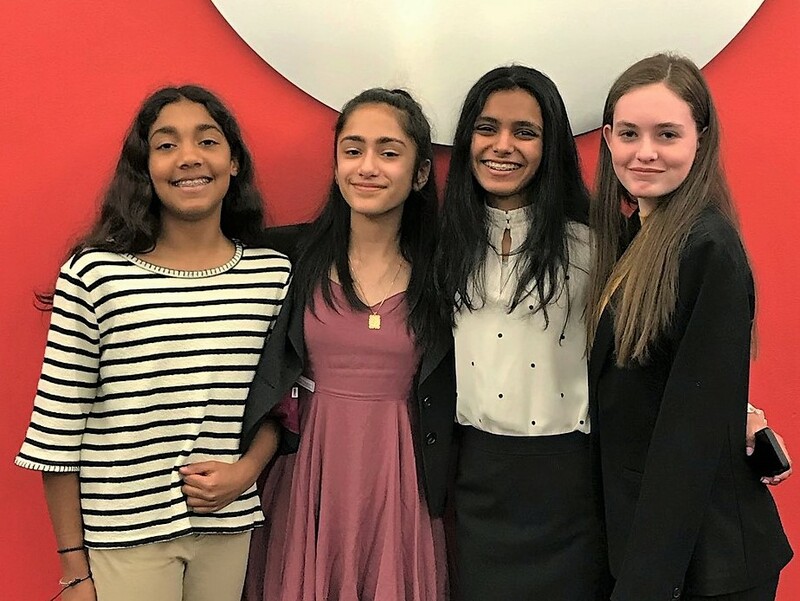 The three girls, along with classmate Nora Perry, advanced to regionals at the University of Illinois at Chicago on March 30 after being selected as best in class by MPA faculty. 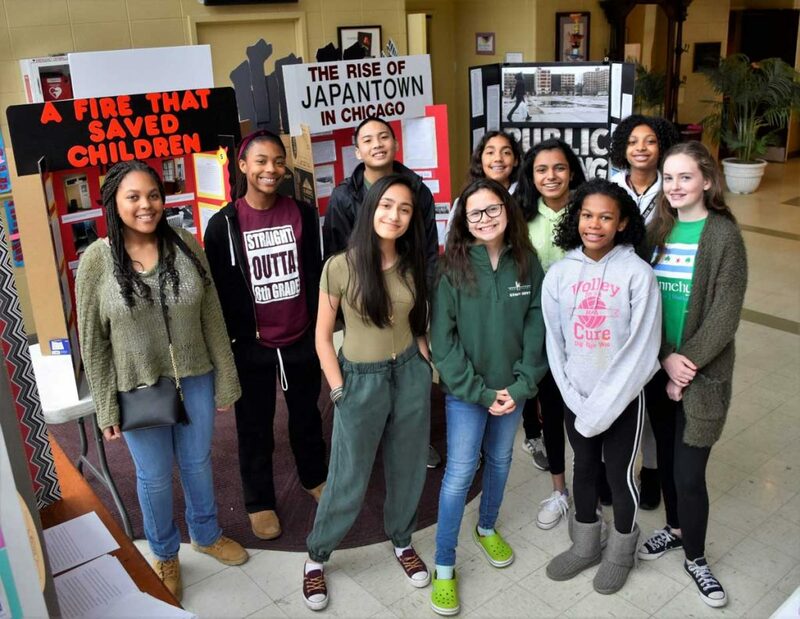 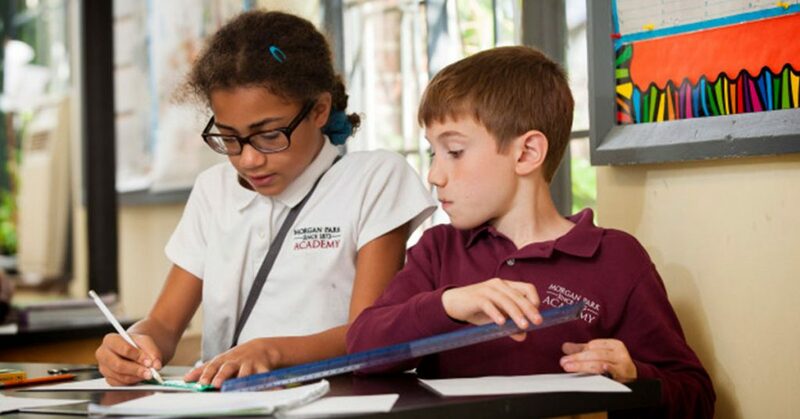 Morgan Park Academy eighth-graders participate each year in this popular and challenging competition, researching and presenting a long-form research project. 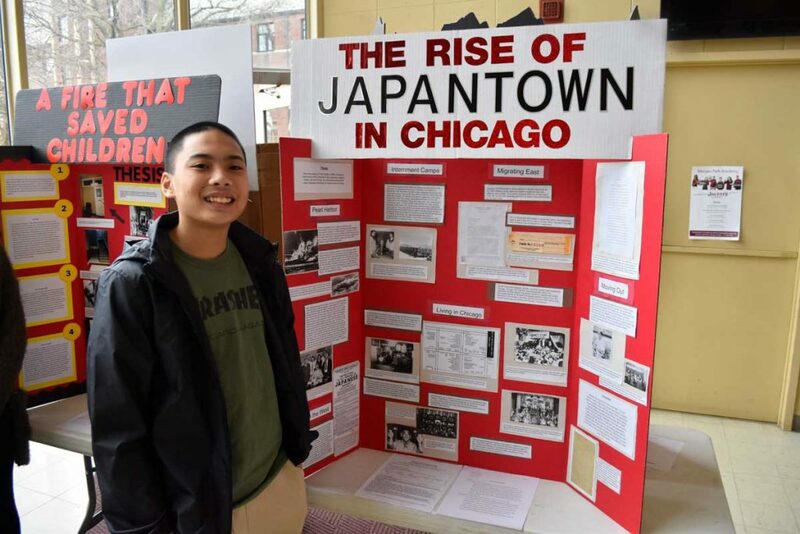 Over three months of work, students researched primary sources, including visiting the archives of the Chicago History Museum, and created museum-like exhibits, summary statements, and annotated bibliographies. 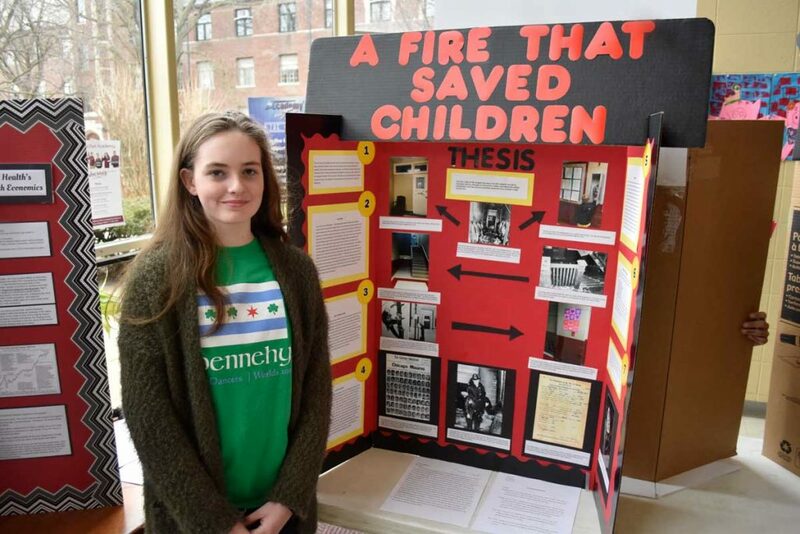 Olivia’s exhibit examined how fire codes changed in the wake of a tragic 1958 fire at the Our Lady of the Angels School on the West Side of Chicago. 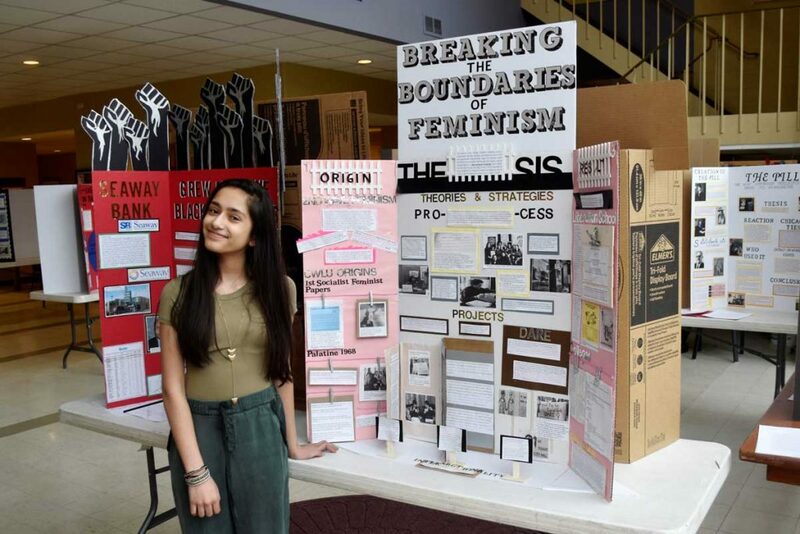 Saanvi researched how the Chicago Women’s Liberation Union affected intersectional feminism in the 1970s before the term was coined. 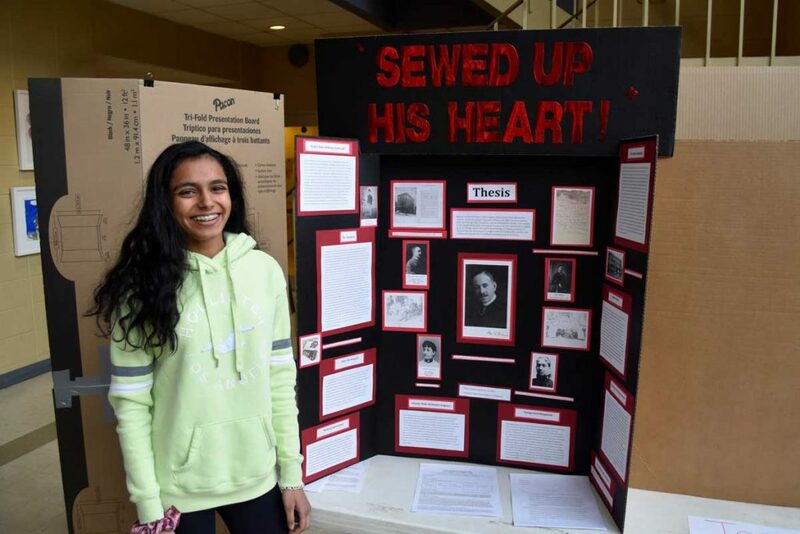 Riya studied how pioneering black surgeon Dr. Daniel Hale Williams opened doors for other African-Americans by performing the first successful open-heart surgery in 1893. 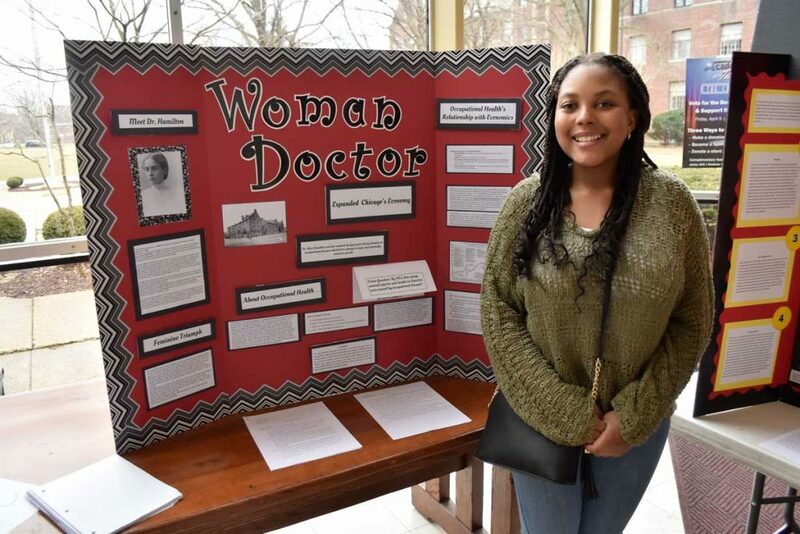 Nora focused on the invention of birth control and its impact on women’s rights. 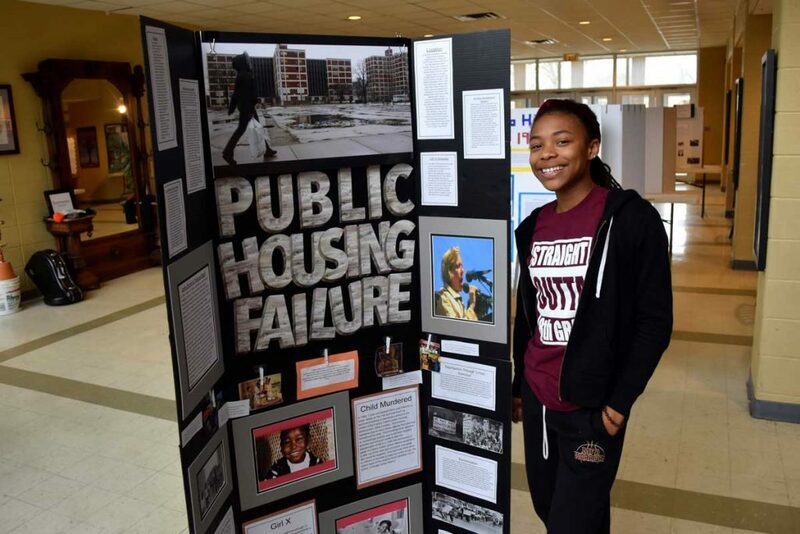 Brooke Barber, Andrew Cabrera, Aria Fifer, Sheridan Harris, Oriella Ortiz, and Lauren Robinson also earned recognition from MPA faculty for their exhibits on Chicago history through the lenses of public housing, free speech, black business leaders, Japantown, groundbreaking physician Dr. Alice Hamilton, and African-Americans in the fashion industry. 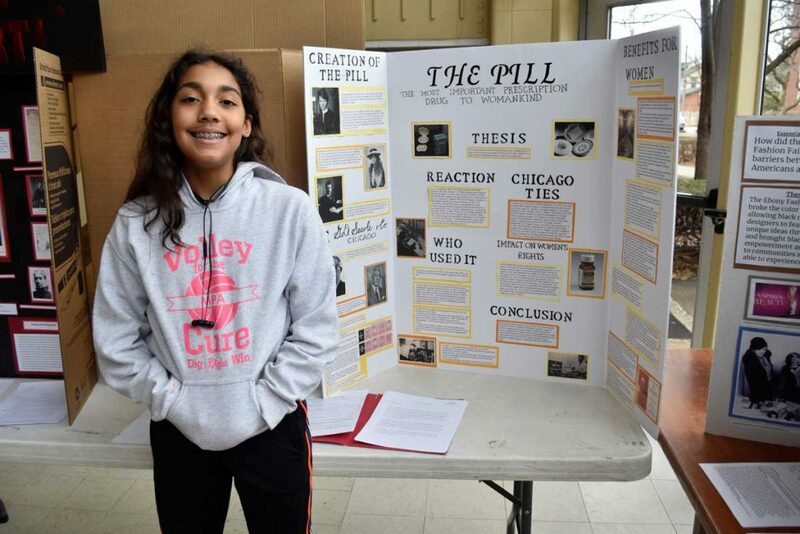 Illinois History Day is a statewide program for students grades 6-12 who are interested in building research skills while learning about their state’s history. 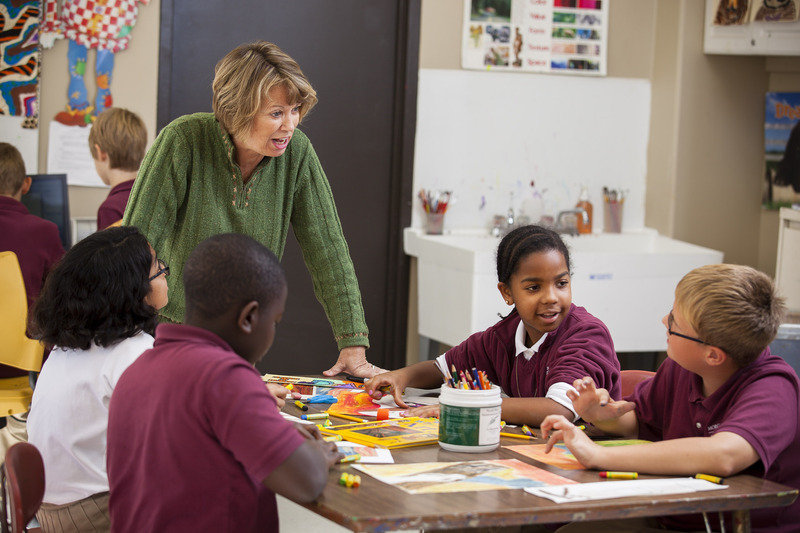 Students can create a research paper, exhibit, website, documentary, or performance about Illinois’ long and varied history. 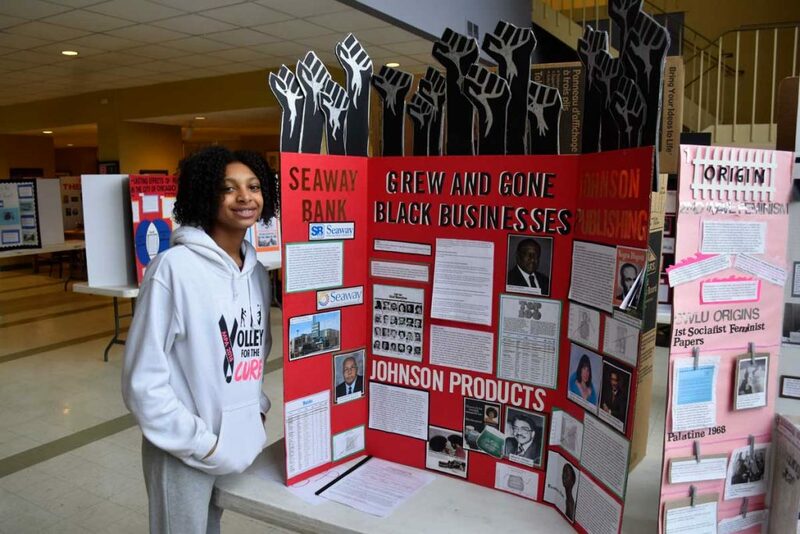 Students present their research at regional contests across the state. 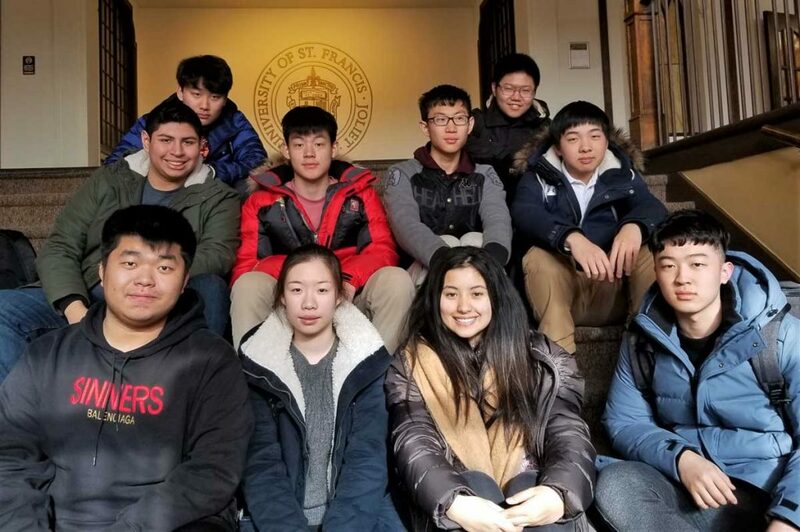 Those who receive a superior ribbon at their regional will be able to attend the state competition hosted in Springfield in May. 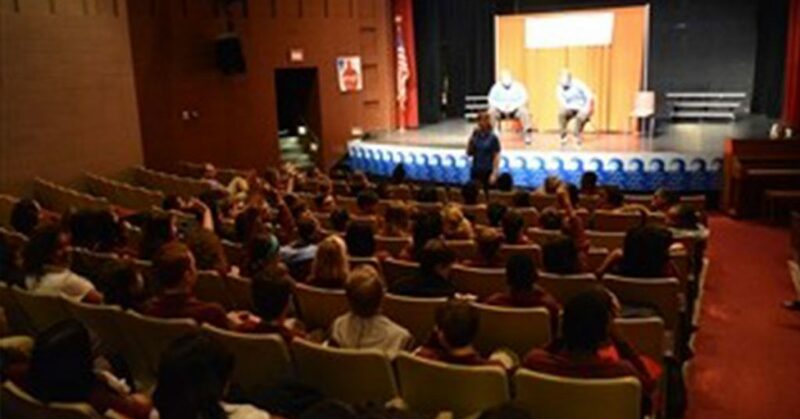 The next Illinois History Day is set for May 2, 2019 in Springfield.